YOUR NETWORK IS A HYBRID. MODEL IT ALL WITH CONFIDENCE. You’ll be able to validate your security posture and your compliance. You’ll accelerate investigation of incidents and vulnerabilities. And, with one comprehensive network view, your teams will be more productive. 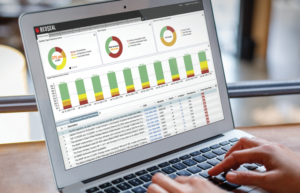 RedSeal’s network modeling and risk scoring platform builds an accurate, up-to-date model of your hybrid data center so you can validate your policies, investigate faster, and prioritize issues that compromise your most reachable, valuable assets. Unique in the industry, RedSeal can model and evaluate Layers 2, 3, 4 and now 7 — application-based policies. And, it includes endpoint information from multiple sources. Learn more about some important RedSeal features. RedSeal calculates a Digital Resilience Score for your network. It is one metric so you can measure, benchmark, and set targets to actively manage your network’s resilience. RedSeal enhances your existing security investments. It works with your physical and virtual devices, creates a network model, and adds network context and access information to your existing security data. You get a comprehensive network-wide view. 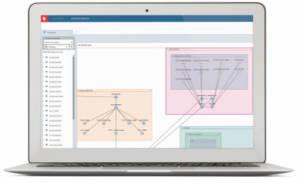 RedSeal integrates directly into the user interfaces of popular security products, providing users with unprecedented network context within the tool, and in the format, they’re already using. 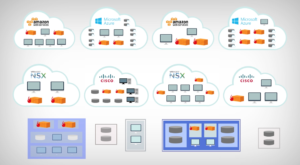 RedSeal brings network environments together in one model, so you can understand all access, within and between public and private clouds, as well as your physical assets. Learn about the latest enhancements to RedSeal’s network modeling and risk scoring platform, as well as our new integration apps.